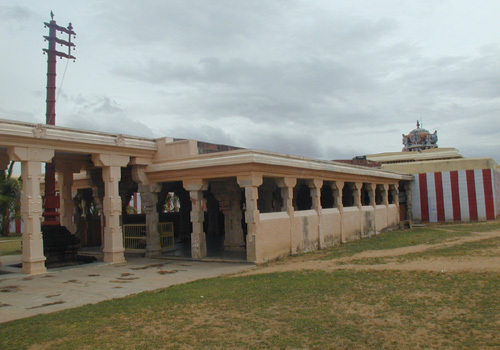 Sri Aravinda Lochana Perumal Temple is one of the Divya Desams, the 108 temples of Vishnu Believed to have been visited by the 1 poet saints or Alwars. 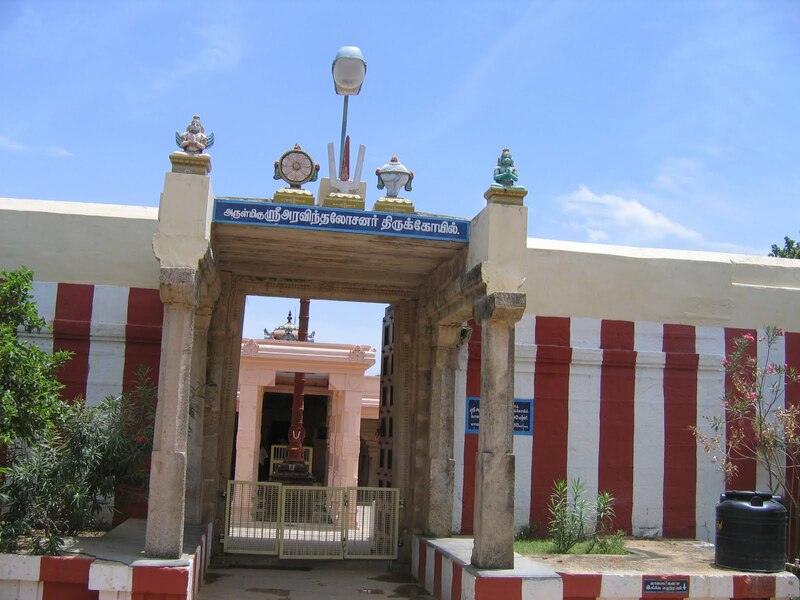 This Temple is located at Thirukkulandai in Thirunelveli district. Sri Aravinda Lochna perumal temple is massive an impressive edifice. Joining two Azhwar tirupathi sthalams, and it is considered to be a single divyadesam, this is called as "Twin Tirupathi". In this sthalam, a munivar (rishi) named "Athreya Suprabha rishi", started and maintained a yaaga saali (place where yaagam is done). When he was cleaning the yaaga salai, he found out a bright Tarasu (equilibrium measuring instrument) and Bow. On touching those two, it Changed into a beautiful men and a women. They both explained him that they were changed into the tarasu and the bow because of the sabham, given by Kuberan it will end only if they are touched by Suprabha rishi. And after explaining this, they both got sabha vimocchan and got paramapadha mukthi. Since, the tarasu (or otherwise named as "Thulaam") and bow (otherwise called as "Vil") both of tem got the vimocchan and went to paramapadham, this sthalam is named as "Thulam Vil Mangalam" and as the years passed the name changed to "Tholai villi Mangalam". 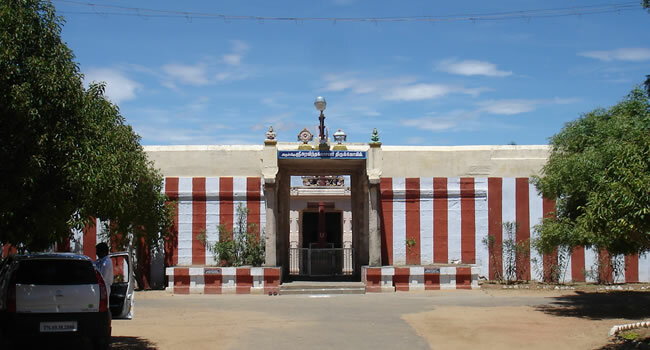 Sri Aravindha Lochna Perumal Temple is Located at ThiruKKulandai in Thirunelveli,Tamilnadu. 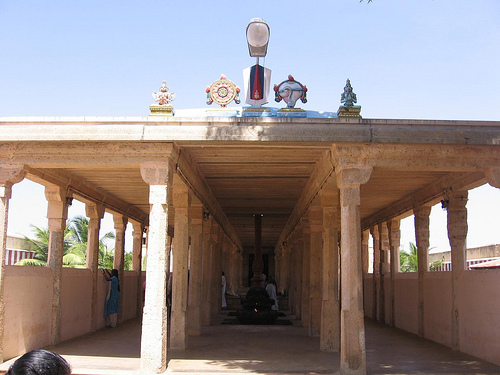 Sri Aravindha Lochana Perumal Temple is a Hindu Temple dedicated to Lord Vishnu. This Temple is also Known as Twin Tirupathi,Thulam Vil Mangalam and Tholai villi Mangalam. 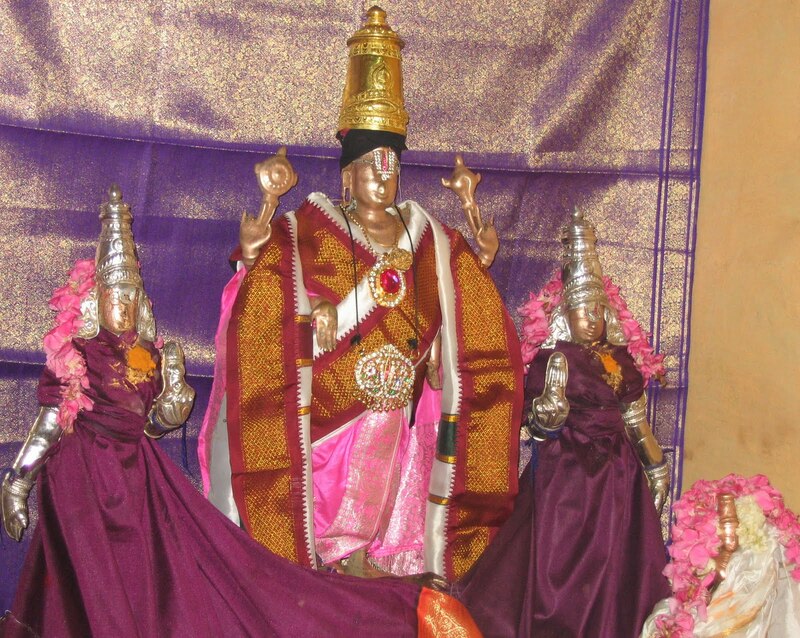 The Presiding deity of this Temple is Moolavar Thiru Aravindha Lochna Perumal. Kumudham means Dharbai Pul (Dharbai is one kind of Grass). Since, in this sthalam, the Yaagam was done, this sthala Vimaanam is called "Kumudha Vimaanam".